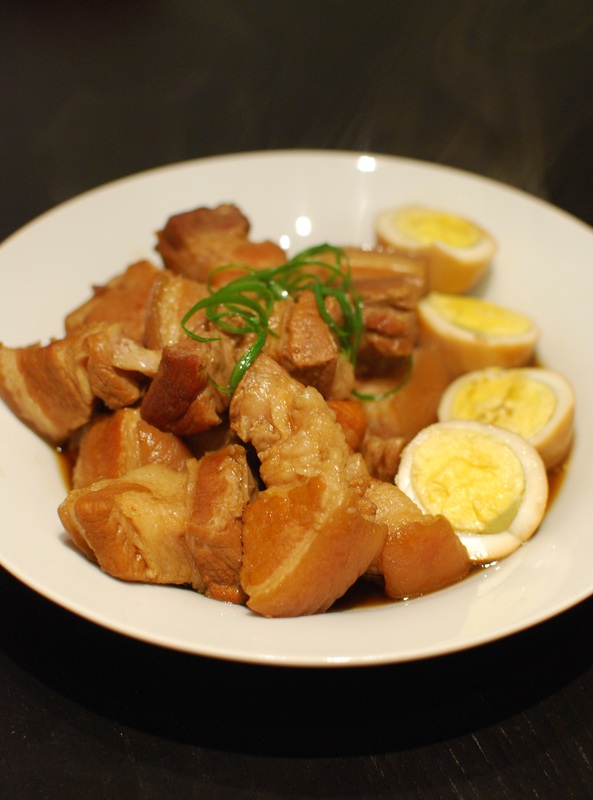 I made this Japanese style braised pork (豚の角煮）the other day. Hmm… I searched the recipe on Cookpad, and I saw that many recipes requires a pressure cooker, which I don’t have. Many recipies also ask you to put them in the fridge for a night. I think it is to let the fat solidify and then get ride of it (My Japanese is very limited, that’s what I get from reading those recipes). Well I didn’t do any of those things… (I don’t have a pressure cooker nor the time for it to sit through the night) I simply just boiled the pork for an hour.. and… that’s it. The pork was ok, not super tender. Flavour was OK though. Hmm I’ll definitely give it a try again next time! Time to brush up my Japanese! Last weekend, Mr. Clam and I went Downtown to watch some Olympic stuff. 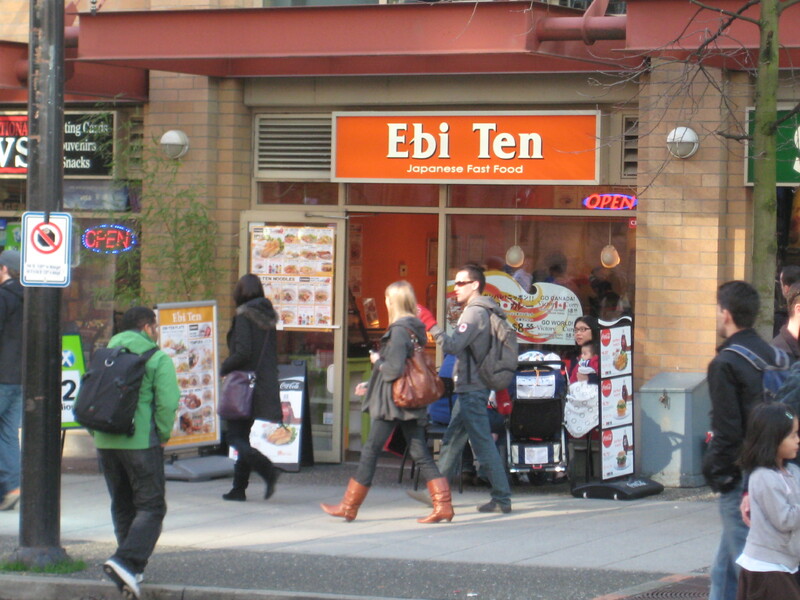 We went in a restaurant called “Ebi Ten” fo food. 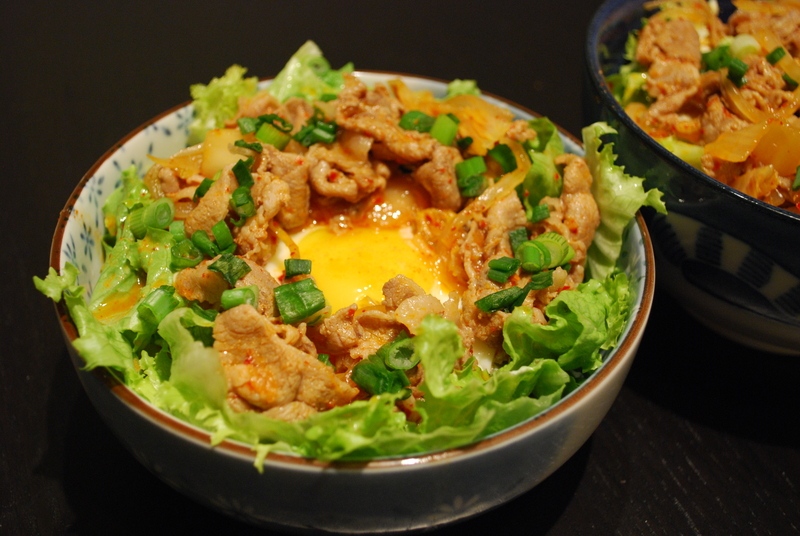 There I tried a rice bowl called “Buta-Kim,” and I REALLY LIKED it! When I was eating it, I thought to myself… “It shouldn’t be too hard to make at home…” So I gave it a try tonight. 1) Mix all the sauce ingredients in a small bowl. 2) Heat up a frying pan, put some oil and chopped garlic in. Then put the onion in. Stir fry until the onion is brown and soft. 3) Put the pork in. 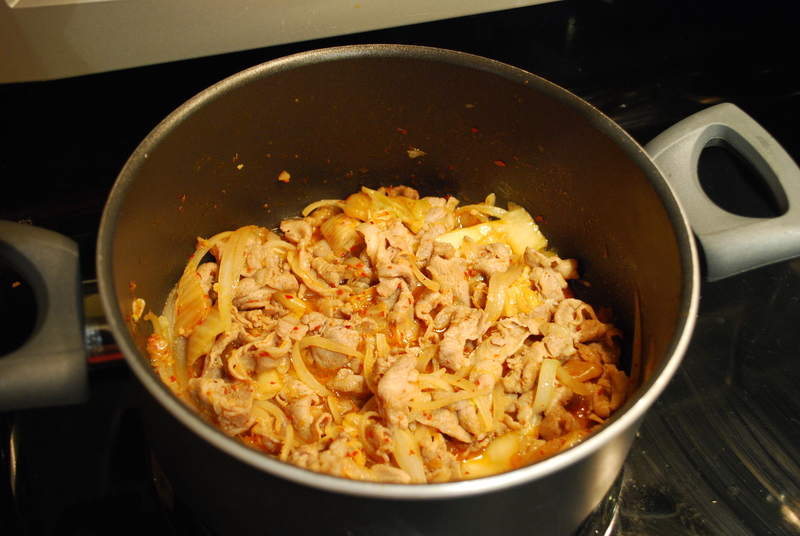 When the pork has changes colour, put in 1) and the Kimchi. Stir fry until the pork is well cooked. 4) Now it’s time for the rice. 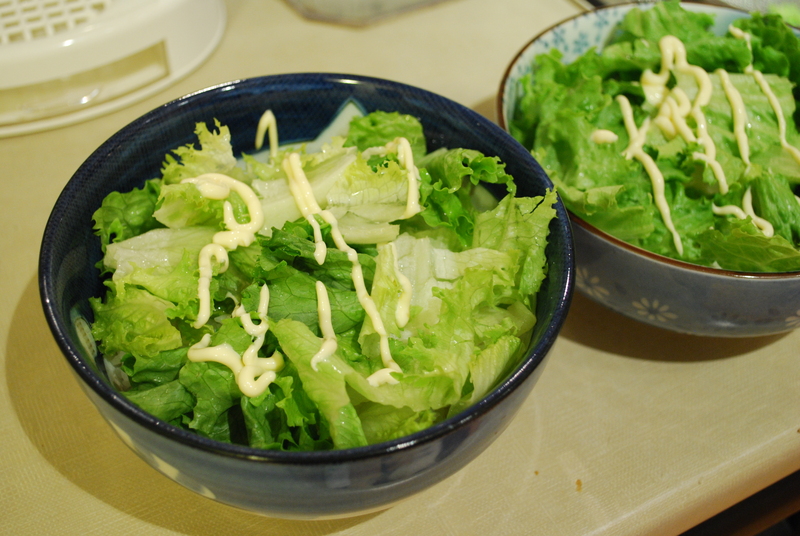 First put the rice a rice bowl, then put some lettuce on top. Ok, now it’s time for the trick – MAYONNAISE! 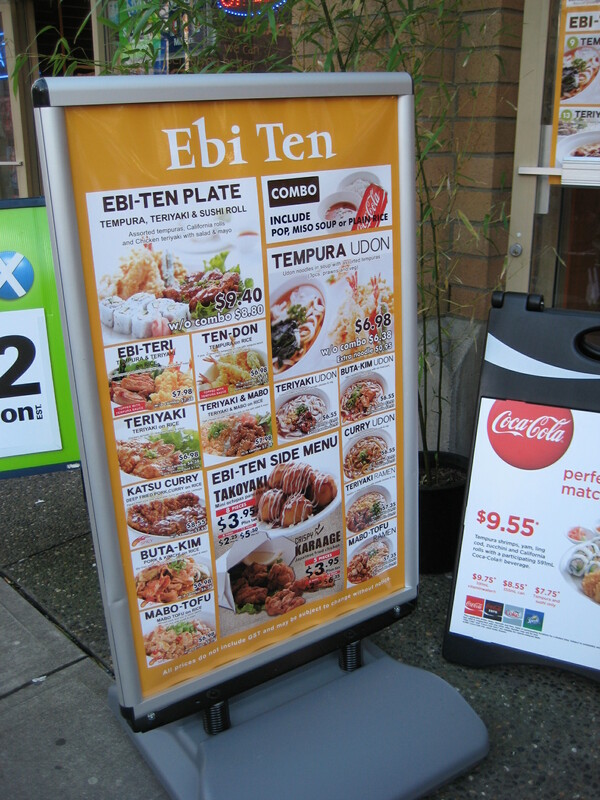 I never thought of putting mayonnaise in a rice bowl until I tried it at Ebi Ten. So remember to put some mayonnaise in your rice bowl! It makes it taste SO much better! 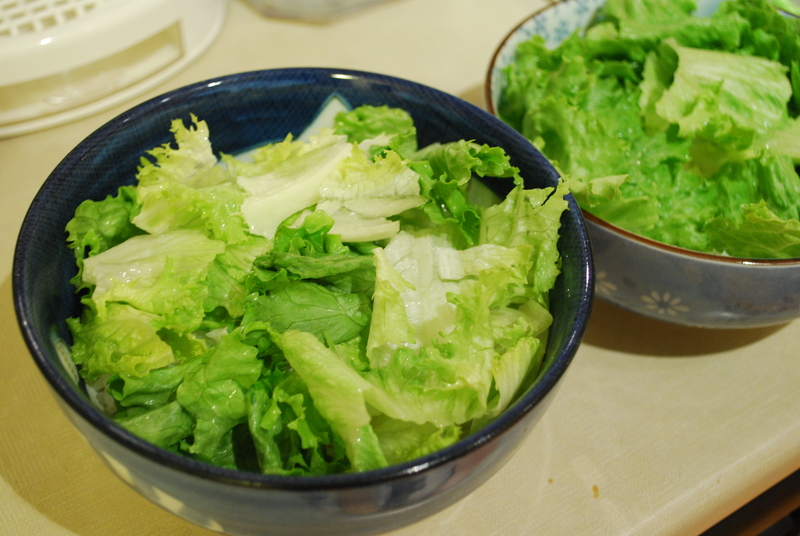 5) Now, if you like eggs like me, you can put a sunny side up egg on your lettuce. If you don’t like eggs, then you can skip this. 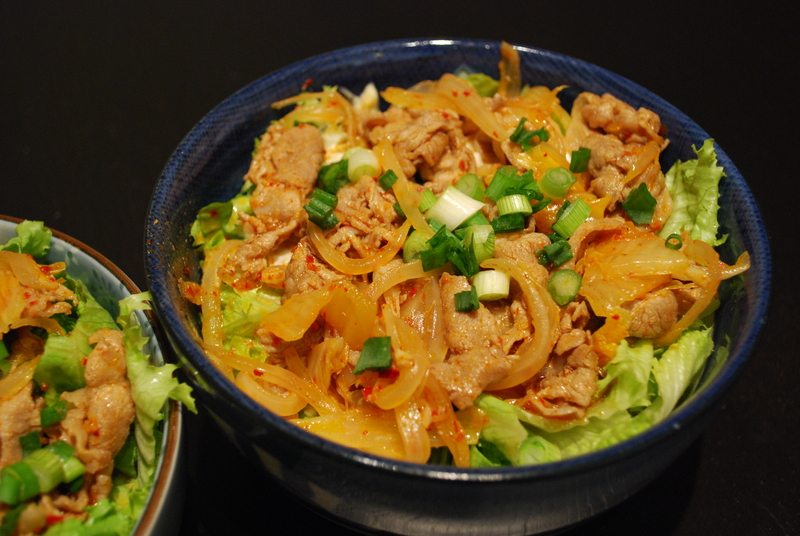 6) Of course, now you’ll need the kimchi pork! 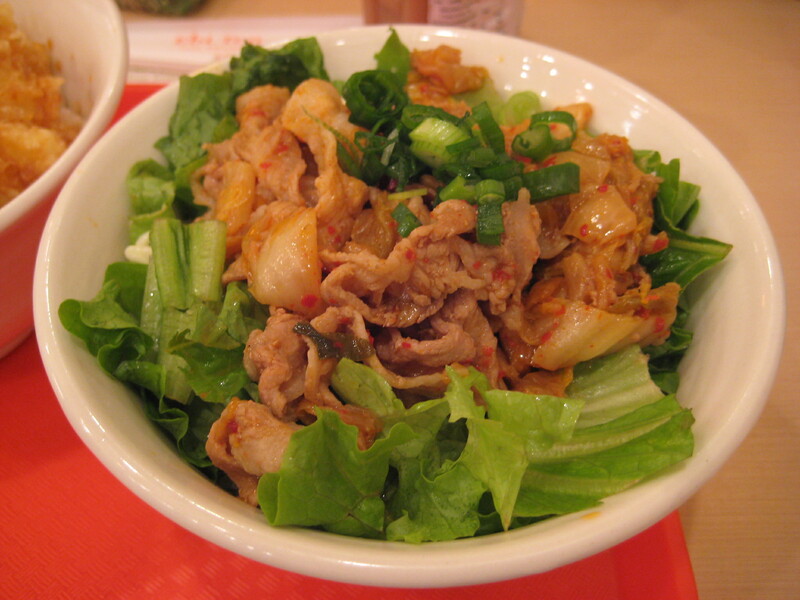 Just simply put the pork on the lettuce, and green onion on top of the prok. Viola! 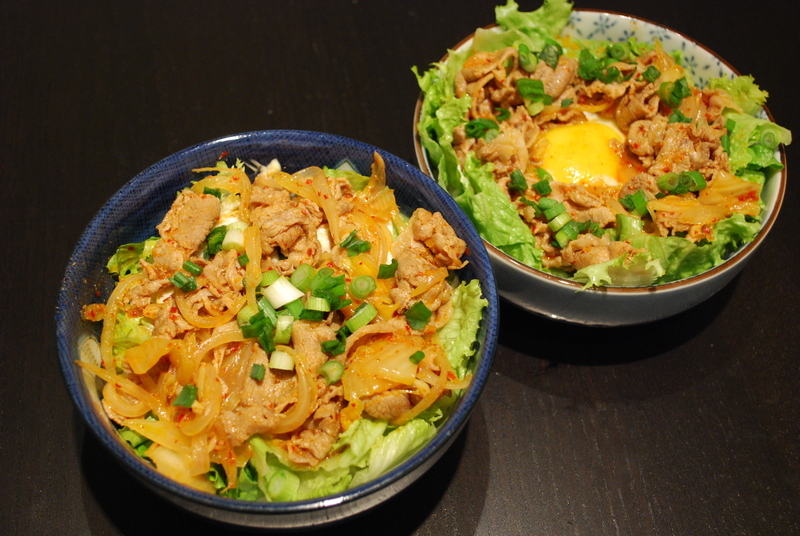 There’s your Pork and Kimchi rice bowl! 2) I think I’ll start to put mayonnaise on EVERYTHING now coz it tastes so good!